Needed several for large area and was able to purchase in large quantities! We ordered two plants and one plant looked as if was dying when received and we have nurtured both but this one has dried up and died and the other seems to be doing well. They have since then replaced the plants which I am pleased with how they look and look forward to health growth. Lady Ferns are among the best plants for landscaping as they are well suited for fringes along water components and nursery sections. 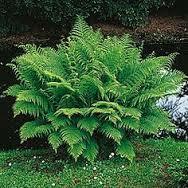 Lacy fronds uncurl from green, purple or red stalks and can be a foot wide and up to 3 feet long. This perennial plant with abundant fronds on each plant can be from 2-5 feet tall. The beautiful light green-colored leaves grow in clumps. These plants are hardy in moist, shady soil and will spread over time through rhizomes. Lady Ferns make a good ground cover that contrasts well with dark colored plants. These plants are also very low-maintenance. Lady Fern grows well near ponds and along creek banks. Lady Fern add color to rock gardens and appeal to shaded borders. What makes the Lady Fern among the top plants for a garden is its bushier texture as well as its minimal amount of fronds. This plant is also ideal for multiple environments as well. The lady fern can be put indoors as a decoration or in open air planting areas outside. As a result, it is one of the most versatile plants available. Lady Ferns are among the most delicate looking plants as they always look great in gardens and under trees. Since this plant is ubiquitous in North America, they are never likely to become a plant species that is intrusive. 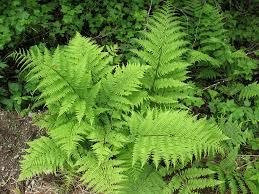 The color of the lady fern is similar to many other plants which are bright green. With this color, it easily stands out from other plants and brings out the color of all gardens. As lady ferns grow they develop a delicate appearance. 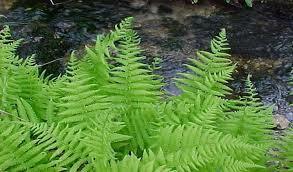 The front of the ferns can get several inches and look as gentle as a breeze blowing them. Lady ferns work very well when they are providing a border around various areas. They are very popular among gardeners and those who own homes. Another great thing about lady ferns is that they are very easy to take care of and therefore don’t require much maintenance to grow and adapt to their surrounding environment.